As Steven takes a break from cycling to focus on his personal health, he also has a loved one battling a serious illness. Steven's Godson, Brody, is fighting Leukemia and needs help with treatment. 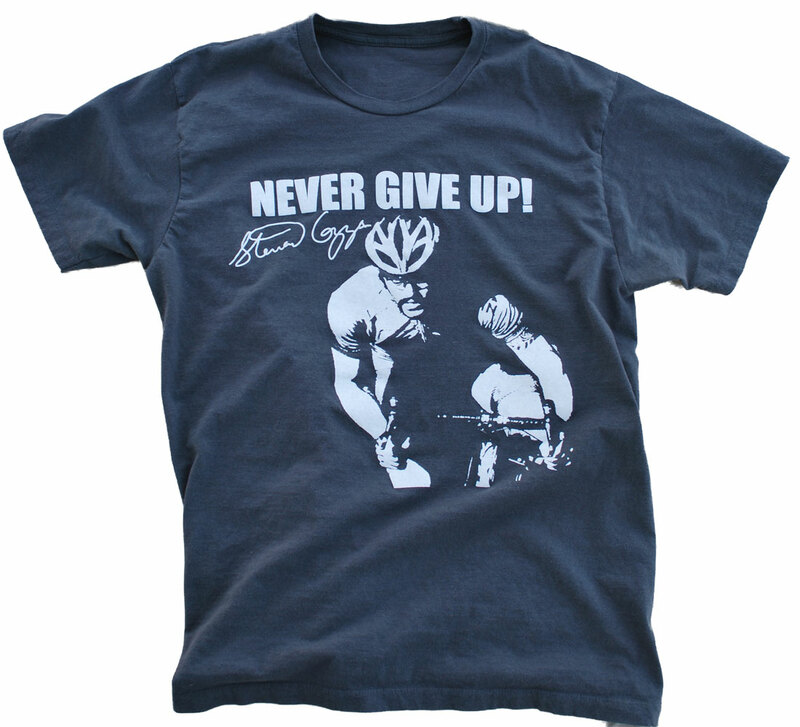 We will be donating ALL PROFITS from the Steven Cozza's Never Give Up T-shirt directly to Brody's trust fund via Steven's Race for Kids. You are amazing! God bless you sweetie!